Any idea what this strange looking contraption is? I’ll help you out: it’s a spanner with a few special party tricks. 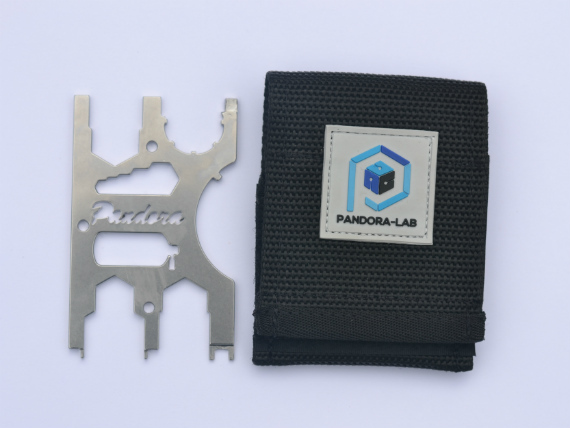 The Pandora tool is the brainchild of South Korea’s Pandora-Lab, who are a team of technical divers and engineers specialising in innovative equipment. Servicing a regulator should only be undertaken by qualified personnel. A dive workshop will have all the correct spanners to hand, but expeditionary divers can eliminate all these with this single tool in a handy credit card-sized pouch. And it’s now available in the UK for the first time as either stainless steel (RRP £49.95) or titanium (RRP £69.95), thanks to a new distributor. Steel can handle up to 5Nm of torque, while the titanium version takes a heftier 14Nm. It’s a clever solution for tech divers and instructors who want to adjust their regs out in the field, or those who are comfortable doing simple repairs. We think it’s a no-brainer for anyone who doesn’t want a faulty reg to cut short a dive trip.